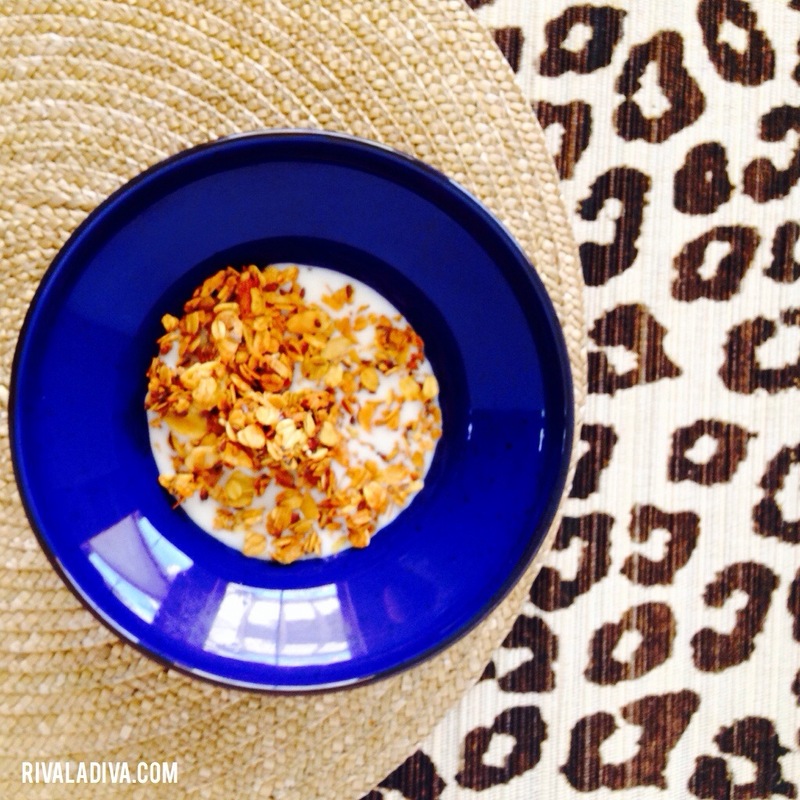 I have a SUPER breakfast recipe to share with you this morning, it’s packed with super health benefits, will feed ya for days, and has a golden hue that is so gorgeous with a purple blueberry yogurt… Breakfast should be glamorous too, right? The super powers I mention? 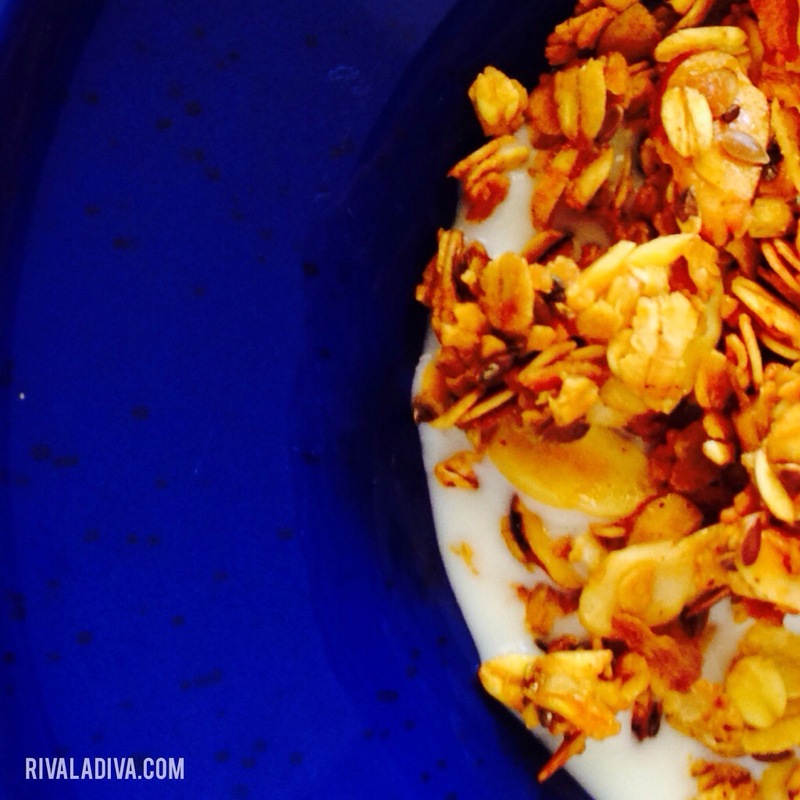 Flaxseed and chia seeds have been all the rage lately… google it. 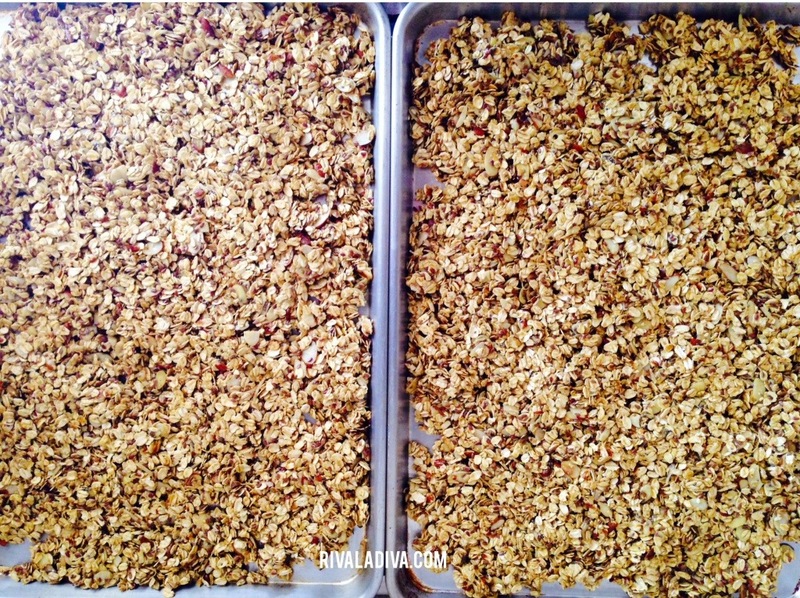 But my new favorite is the turmeric, that not only gives this granola that chic golden hue but is also considered a spice with amazing strengths as it can aid in the potential treatment of an array of diseases, including cancer, Alzheimer’s disease, diabetes, allergies, arthritis, and other chronic illnesses. What’s not to love? Did I mention it also looks pretty blueberry yogurt? You could even try a nice magenta colored one, too… but I digress. Ha! 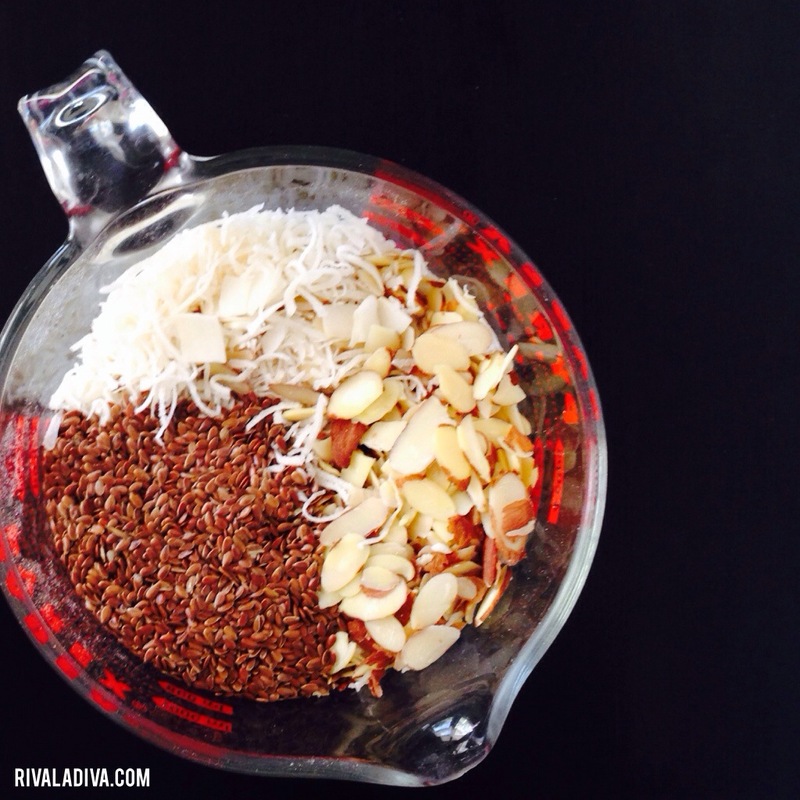 Combine the oats, almonds, flaxseed, Chia seeds, and coconut in one bowl. Mix the sugar, oil, honey, syrup, spices, and salt in a small sauce pan. Cook on medium heat for 3 to 4 minutes until the sugar dissolves. Remove sugar mixture from heat and pour over oat mixture and stir to coat. and set oven at 350°F. Bake for 28-35 minutes, stir mixture every 8 to 10 minutes and continue to bake until golden. Careful not to burn, as the mixture would be very bitter… I may or may not be speaking from experience. Ha! Cool completely store in airtight containers with milk or yogurt, if desired. Serving size is 1/2 cup. **For this recipe it says you can use brown sugar or coconut sugar, I used a coconut sugar from trader Joe’s if you have one near you go out and give it a try! I love trying new Trader Joe’s product… they are awesome and sell amazing stuff! Don’t forget to join my Facebook page, and follow me on Instagram, @rivaladiva. 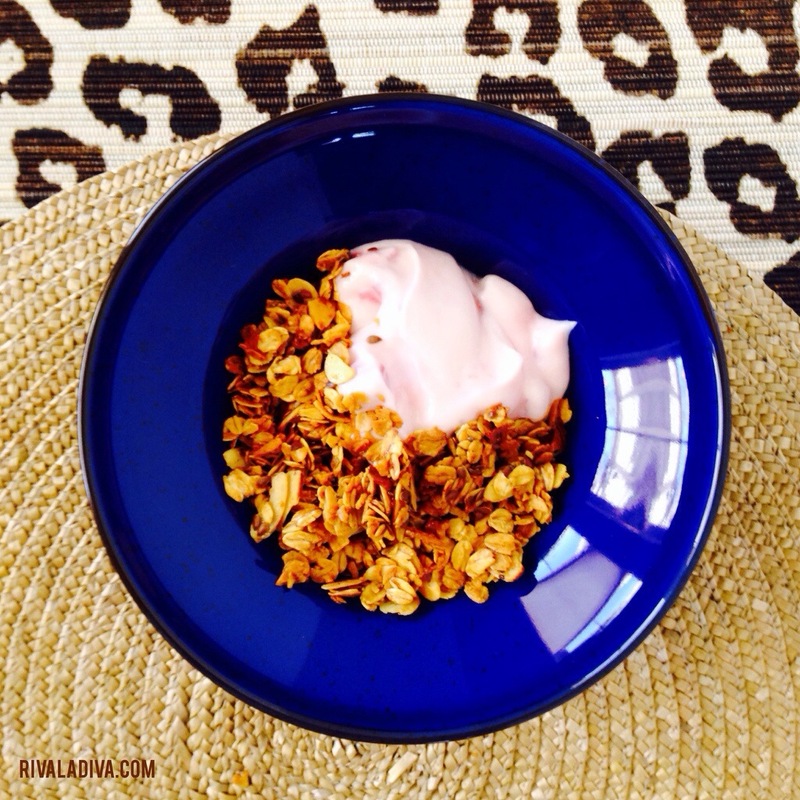 Show me how you eat your granola!